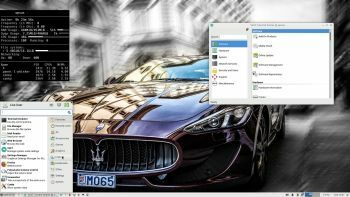 I’ve made a “remaster” of openSUSE’s Tumbleweed image for Raspberry Pi 3 with the XFCE Desktop and many other more or less necessary packages. Study the full package list. The Raspberry Pi 3 is a credit-card sized computer that plugs into your TV and a keyboard. It’s a capable little PC which can be used for many of the things that your desktop PC does, like spreadsheets, word-processing and games. It also plays high-definition video. Why a remaster of the original openSUSE image? I did it mostly because it’s fun. My version has one big advantage though since you can enjoy sound. Good if you like YouTube for example. I’ve also added some “necessary” packages and prevented installations of all KDE packages. Watch this screenshot. KDE is way to heavy to run on the Rpi computer. The system is not very fast. When running YouTube in Firefox you’ll even have to be a bit patient. Especially if you don’t create a SWAP partition as I’ve described on the INFO site. With a SWAP partition the system will function better. It will still not be fast, but faster. For some unknown reason the system performs slightly better when logged in as root. The original openSUSE Rpi system has the same problem. If you want to run a real fast system on your Rpi 3 Model B+ computer you should go for RaspEX with BunsenLabs Build 181010 or RaspEX with LXDE Build 181022. A member on raspex.exton.se wrote this “review” the other day: In three days I´ve tried out different Linux distros on a laptop and on my rpi3b, “pure Ubuntu”, Kali, RaspArch, Arch and yours. Finally it feels right on my Rpi with RaspEX, easy to install and with only “2 problems” you get 9/10 (rootfs.sh and no_pubkey). After spending like 14 hours yesterday trying to install Arch on a HP-laptop, with both manual tutorial and some git-hub-pro-script, failing Big Time, this was a relief. Took me like 15min. Kali + HP = nice. RPI + RaspEX = love! 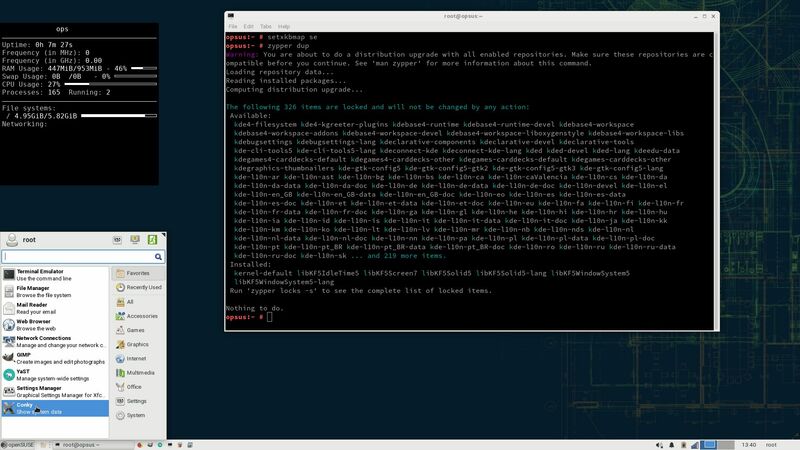 The Tumbleweed distribution is a pure rolling release version of openSUSE containing the latest stable versions of all software instead of relying on rigid periodic release cycles. The project does this for users that want the newest stable software. 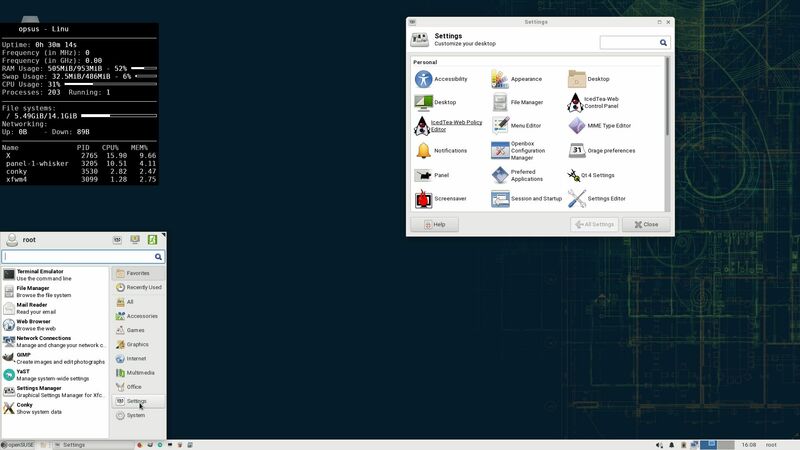 WHO should run EXTON OpSuS Rpi/openSUSE?